The African Hawk Eagle (Afrikaans name Grootjagarend) is a medium sized Eagle that catches most of its prey while on the wing. 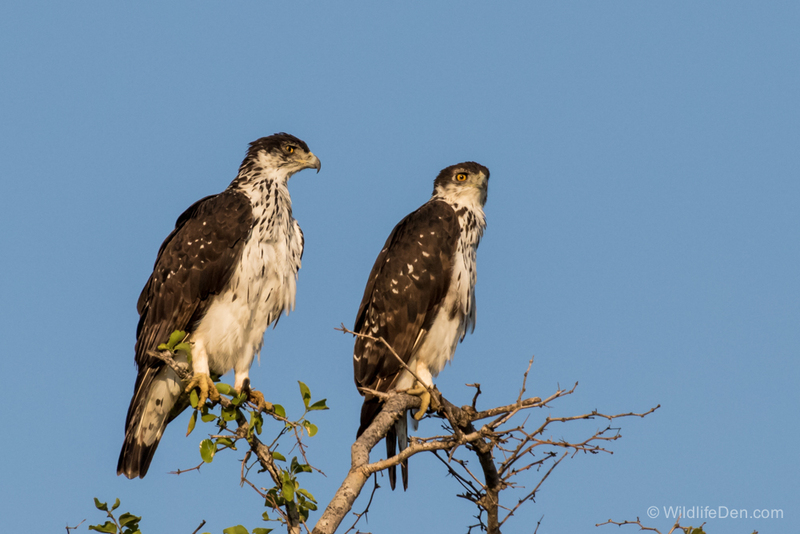 Pairs frequently perch together and hunt cooperatively. They are rapacious hunters feeding mainly on game birds, small mammals and other birds. 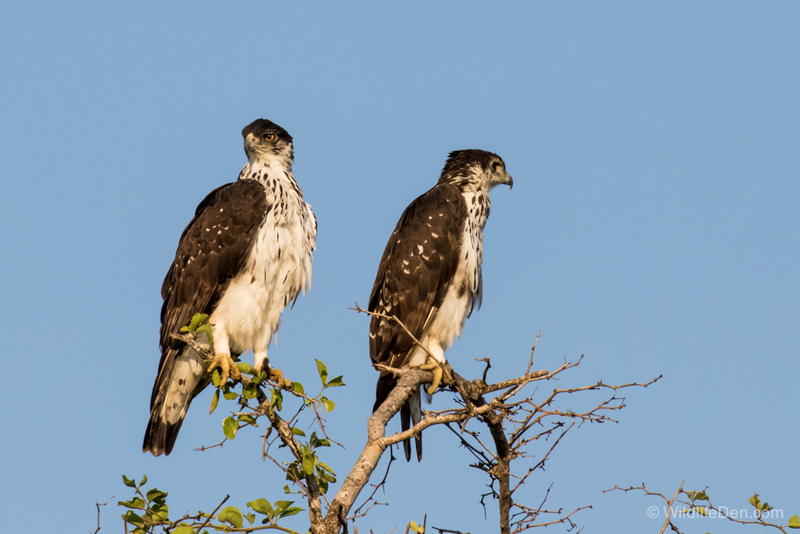 We sighted this handsome couple, early i the morning, in the Kruger National Park.